I was exploring the options in Notepad++ (someone posted a comment in my blog which took me to Essbase Labs, where there is a blog entry on Textpad and Essbase). So I was looking at at option where we can launch programs from Notepad++ itself. There is a run command which does it, however I was looking at an option where I can get a console window. 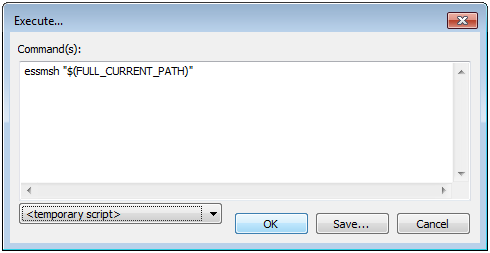 After some research I found the plugin that I was looking for (http://sourceforge.net/projects/npp-plugins/files/NppExec/), you can install the plugin using Plugin Manager in Notepad++. 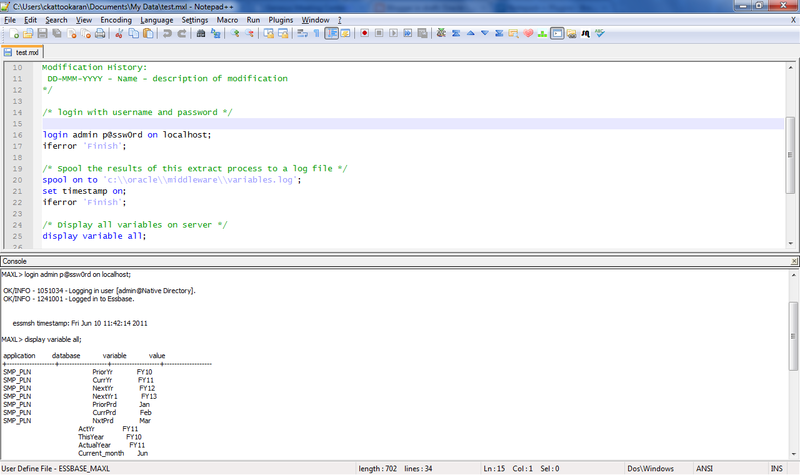 So now you write Maxl statements and run it from Notepad++ itself (if you have essmsh installed on the machine).